Nike’s 2018 Chinese New Year Collection, also known as the Lunar New Year Pack, consists of the Air Jordan 6, Air Jordan 32, Nike SF-AF1 and Air Force 1. It now appears that the Nike Air Foamposite One will be part of the celebration with its own Chinese New Year design. Featuring a Foam shell covered in fireworks and floral graphics with a Black upper atop an icy translucent outsole. A specific release date has yet to be announced, but you can expect the Nike Air Foamposite “Chinese New Year” to release early February. Stay tuned to Sneaker Bar for more updates as they develop. UPDATE: On-feet photos of the “Chinese New Year” Nike Air Foamposite One. Photos: FlightClub.cn. UPDATE: Nike releases official photos of the “CNY” Foamposite One as part of their LNY (Lunar New Year) Collection. 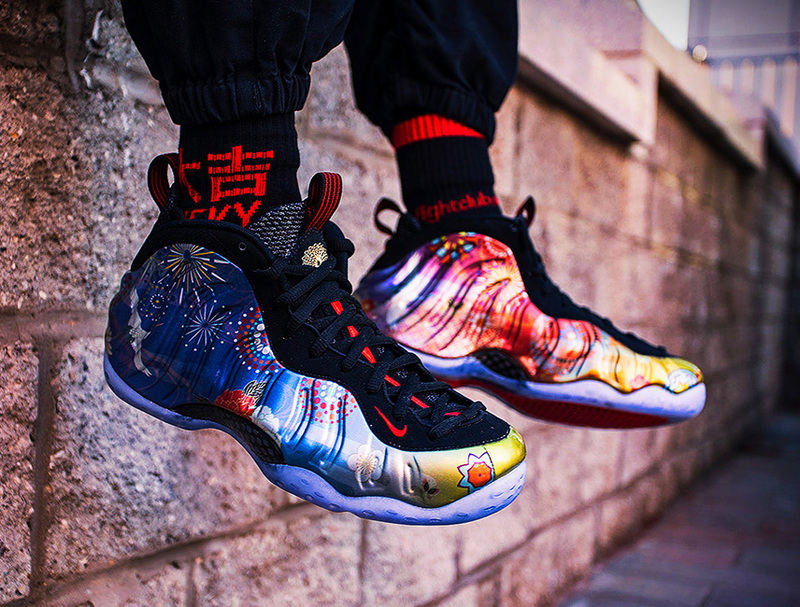 UPDATE: Detailed photos of the “CNY” Nike Air Foamposite One via GC911.